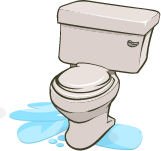 Drain and Sewer | Only Plumbing! Receive $$ off your future plumbing service for your 5-Star/Excellent review on the following sites. Pick any site you want or use all 3. You can earn up to $60 OFF! For completing all 3 reviews. Earn $25 off your next plumbing service! Leave us a 5-Star/Excellent Review on Google Plus. Leave us a 5-Star/Excellent Review on Kudzu. Earn $10 off your next plumbing service! Leave us a 5-Star/Excellent Review on Facebook. If for any reason your experience was less than satisfactory we want to hear from you. Contact Us. Our goal is to constantly improve customer service and if there are any issues, we would greatly appreciate the opportunity to personally review your service/job and offer a solution that would leave you satisfied. "Only plumbing, thank you for your professional on time service, not to mention the fair fees that were charged, for those looking for a plumbing company I recommend only plumbing." "5 stars! Great job installing our hot water heater! Recommend highly and will use again!" "I submitted a bid on Home Advisor and within 3mins I received a call from Only Plumbing. We discussed fees and setup an appointment. The plumbers came and without hesitation they got to work. They were very knowledgeable and I look forward to using them again, if I ever need any work done. "